Enrique studied Biotechnology and a Molecular Biotechnology master at the University of Barcelona. He received a fellowship from the “Generalitat de Catalunya“ which combined with the European Union allow him to start an internship in the Wiche group of the Max F. Perutz Laboratories in Wien (Austria). After this, he signed to work for a period of three months in a different project of the same group, related to the role of plectin protein in rare skin diseases that affect human. 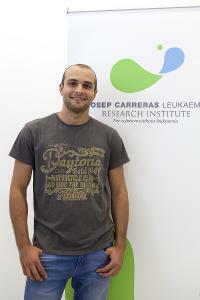 He joined BET at the Josep Carreras Leukaemia Research on October 2013 to start a PhD involved in endothelial dysfunction in hematopoietic stem cell transplantation and the implantation of microfluidics technology into the usual methods of the laboratory.